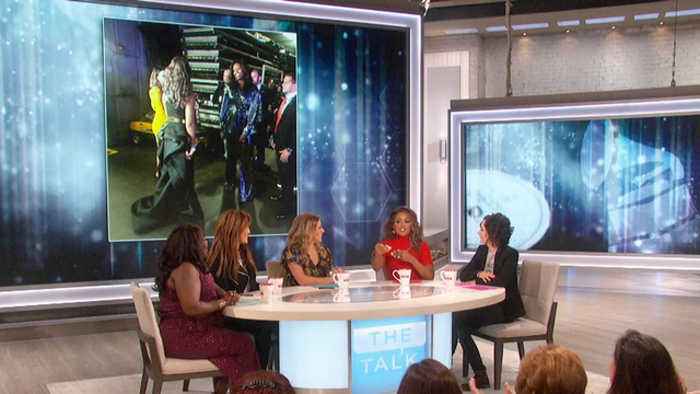 "The Talk" host Eve dishes on unexpected run in with Michelle Obama backstage minutes before the GRAMMY Awards started Sunday. Eve says, "Keltie Knight [from "Entertainment Tonight"] and I were hosting backstage, and as we were about to throw to the GRAMMYS, this light came behind us, and we turned around and it was Michelle Obama. And we got to hug her. It might have been a surprise. We gave up the surprise. It was okay though?" Eve goes on to share, "Diana Ross, I got to talk to her right off of stage, and we got to take a picture with the whole family."